The Aboriginal Indigenous communities believe that our earth and everything on and in it was created by their ancestral spirits. This is known as the Dreamtime or Dreaming. During this significant period the ancestral spirits evolved from the earth and descended from the sky to walk on the land where they created and sculptured its land formations. It was a time when the mountains, rivers, rocks, deserts, people and all flora and fauna were made. It was the spirit ancestors who provided Aboriginal people the lores, (laws) customs and codes of conduct and religious expression. 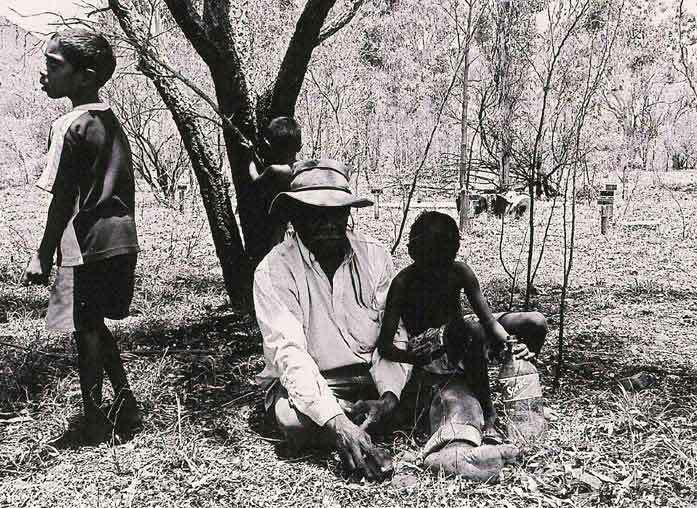 Australian Aborigines have the longest continuous cultural history of any group of people on Earth. Educated estimates date this history around 50 to 60,000 years ago. Naturally this is incredibly important to the Aboriginal people to be kept alive and handed down through the generations. It is the basis of their culture, history, heritage, traditions and everything they believe in. These ancestors were spirits who appeared in a variety of ways such as animals, snakes, goannas, kangaroos or land forms such as rivers etc. When their work was finished the ancestral spirits returned to the earth, the sky and into the animals, land formation, and rivers. The ancestors-beings are ‘alive’ in the spirit of Australian Aboriginals. The Dreamtime stories are an essential part of the Aboriginal culture. Indigenous art is centred on story telling. 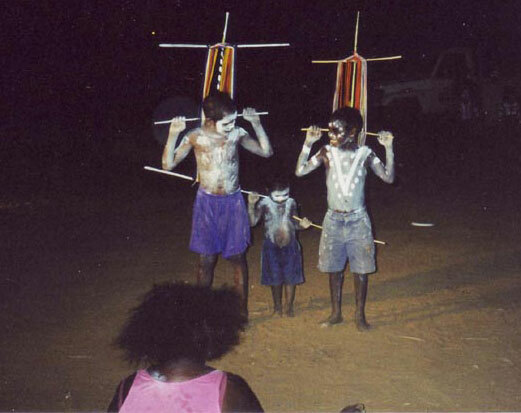 It is used as a chronicle to communicate knowledge of the land, events and beliefs of the Aboriginal people. The use of symbols is an alternate way to writing down stories of cultural significance. It educates the people on how to use the land and survive in it. 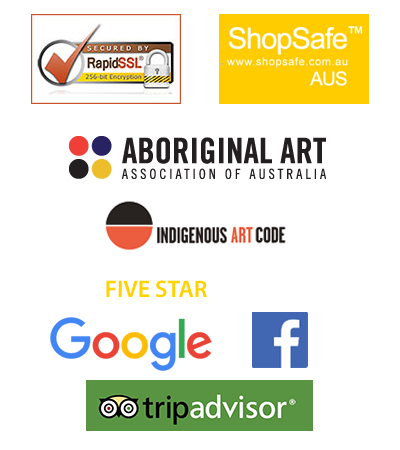 Aboriginal art is art made by indigenous Australian people. It includes work made in many diverse ways including painting on leaves, wood carving, rock carving, sculpting, ceremonial clothing and sand painting. Aboriginal art is closely linked to religious ceremonies or rituals. Dreamtime stories of creations are handed down through storytelling, paintings, song and dance, so this makes it easy for even the very young to learn and pass down. This tradition continues and is imperative to keep the culture alive. Traditionally, Dreaming stories were told through various ways such as the evocative sound of the didgeridoo with song and dances and symbolic drawings. These designs were used as body paint for corroborees and sand paintings for ceremonies. Today paintings are created using traditional ochre and modern-day materials such as acrylics, however the use of traditional symbols and art styles keeps this imperative ancient culture alive. The symbols used in traditional and contemporary Aboriginal paintings are the same as those discovered tens of thousands of years ago in cave paintings and rock Art. The same responsibilities are essential to pass on their own Aboriginal cultural Dreaming stories painted and depicted in Aboriginal Art. It is a visual expression of these beliefs and a way to preserve their culture, heritage, beliefs and history.